Since 2005 American Engineering staff has served as Town Engineer for the Eastern North Carolina beach community of Kill Devil Hills. In our role, we have provided support to its Planning Department and served in a design and construction administration role for a variety of capital infrastructure projects. Bay Drive Road Improvements – We designed the replacement of a collector street with failing pavement to include a 10’ wide asphalt pathway, 5’ off the road. 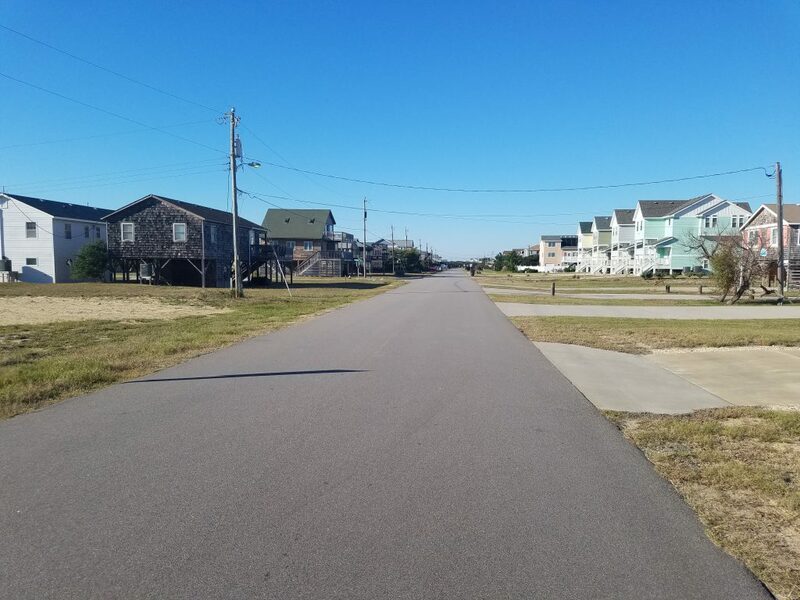 Projects like this have renewed 3± miles of poor-rated streets in Kill Devil Hills, improving drainage, pavements, and pedestrian access. Southwest Area Stormwater Improvements – In an area of severe flooding we provided survey and design services, and successfully permitted on a fast-track schedule. Work was substantially complete in mid-August, just before Hurricane Earl arrived. The new infiltrative system worked flawlessly when tested by the hurricane rains. 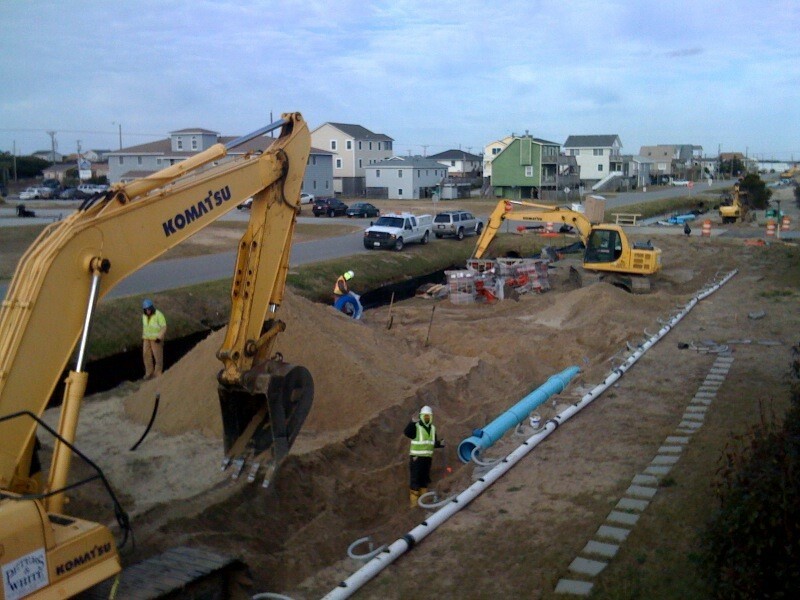 NC-12 Water Main – This multi-year, multi-phase project put a strong (16” diameter) backbone water main down the nearly 5-mile length of Kill Devil Hills. Four jack/bored casings under busy US 158 was included. As part of various portions of the project, our staff’s services included surveying, design, bidding and construction administration, as well as full-time resident observation, resolving unforeseen conflicts, assuring proper installation and restoration. We also maintain the Town’s water system models and maps. Raleigh Avenue Beach Access – As a way to provide improved access to the beach, we designed an existing right of way into a parking lot, footwash, timber boardwalk and gazebo for oceanfront access. The functionality was equal to the aesthetically pleasing design.